Chipunga is a 287 ha greenfield coffee and macadamia plantation located in Nkhatabay District in Northern Malawi. Chipunga Farm Ltd. – owner of the plantation – was acquired by the Diocese of Karonga with a loan from Missio USA and is managed and developed through trustful experts well known by the Diocese. The business strategy of Chipunga Farm Ltd. is the production of high quality Arabica coffee berries and macadamia nuts generating sustainable income for the Diocese. 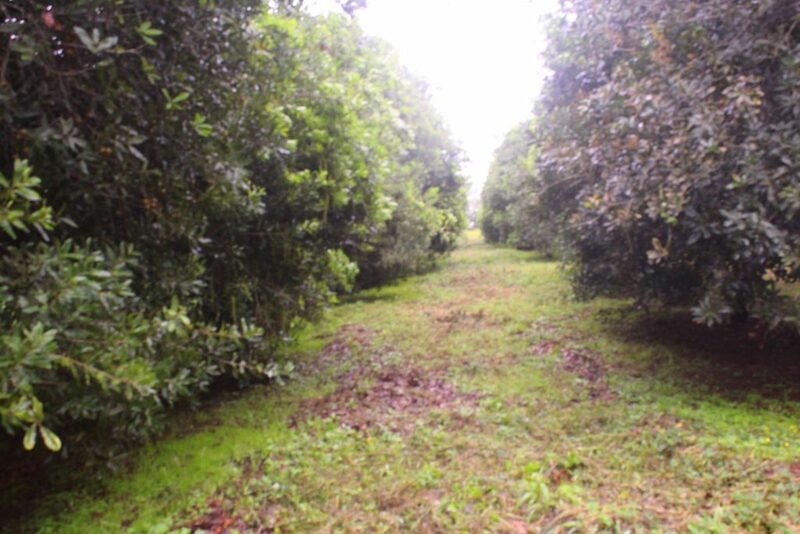 Of the 287 ha, 150 ha will be planted with coffee and 100 ha will be planted with macadamia while the remaining land will be used for horticulture, tree plantation and infrastructural development like roads and houses. The short term plan is to process the coffee berries into washed green beans at Mzuzu Coffee Authority factory 22km away in Mzuzu City while macadamia nuts will be processed by Tropha Farm just outside Mzuzu City. Once coffee production reaches its full capacity, the long-term plan is to have the coffee berries washed at the Farm itself. Based on our strategic plan coffee capacity will be reached in 2025 and macadamia capacity will be reached in 2024 while the first positive annual Cash Flow is expected 2023 and a return is anticipated on a cumulative basis in 2025. Chipunga sees high demand for high quality Arabica coffee and macadamia. Therefore our vision is to be a coffee and macadamia plantation that meets world class standards and sustainable agricultural practices. Chipunga strives to balance environmental and social factors as it works towards building a sustainable agribusiness. Through the acquisition of Chipunga Farm the Diocese intends to create sustainable income and provides permanent and temporary work for 60 people and 100 people respectively working on the farm. In the future the faithful of the Diocese will benefit from the additional financial return. The laborers working on the farm will have more funds available to improve their quality of life, e.g. purchasing solar panels to have electricity and improve housing for the family. Besides this more than 500 small scale farmers from surrounding villages will benefit from services such as agricultural advisory, processing and marketing services. We are very positive that the acquisition and the development of Chipunga Farm will meet the criteria of impact investment. Developing a greenfield plantation like Chipunga requires deep understanding of the issues on the ground e.g. risks that may negatively affect the investment and active stakeholder engagement. As part of a risk management strategy especially drought, Chipunga is committed to implement an integrated water resources management (IWRM) plan for the project. Both the coffee and macadamia production, by means of drip irrigation, and the coffee washing station will require significant quantities of water which has to come from the Chipunga River which runs through the Farm. This calls for a thorough assessment of the water availability, quantities and quality and use with regards to, not only the project, but also the communities and ecosystem needs. As part of the IWRM plan, Chipunga intends to build a dam on Chipunga River in order to staunch the water flow during the rainy season for use during the dry season. Furthermore, Chipunga has facilitated the creation of a Water Users Association where it cooperates with local communities, other users and the government to ensure responsible water use and sustainable management of the catchment area for now and the future. The knowledge and experience gained through this project will be transferred to Kajikhomele Farm in Chiwera, Rumphi District, where another independent and registered company of the Diocese intends to open a 100 ha farm for coffee, macadamia and beekeeping. Chipunga has established an Out Grower Scheme (OGS) programme directly targeting 500 small scale farmers around the Farm as part of its social responsibility. The Out Grower Scheme programme will train and support the small scale farmers to improve yields of their own coffee and macadamia. In addition to access to; extension services, improved and clean seedlings, small scale farmers targeted under the Out Grower Scheme will also benefit from processing and marketing activities undertaken by the Farm. Job generation in an area where employment opportunities are very scarce. Promote Health and Safety Policy and Procedures on the Farm and surrounding communities. Stimulate the overall Malawi Coffee and Macadamia industries by promoting Malawi coffee and macadamia to overseas markets. Increase in disposable income of the local population of Chipunga. Training surrounding local farmers to improve yields of their own coffee and macadamia through the Out Growers Programme. Development of roads and energy services in the Chipunga area as well as an Integrated Water Resources Management Plan for the area. Note: A detailed financial plan is available upon request.